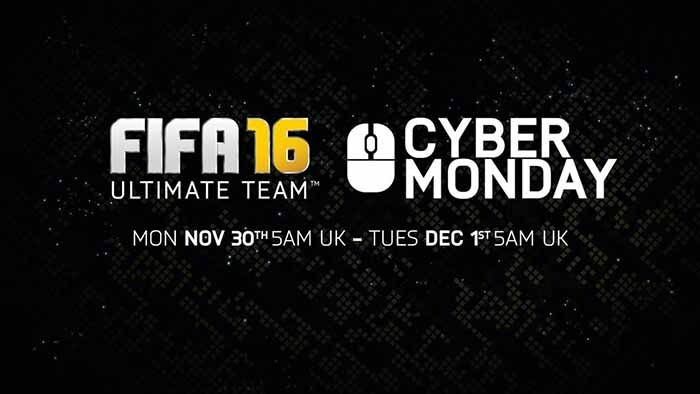 Cyber Monday is a FUT promotion which takes place three days after the Black Friday. 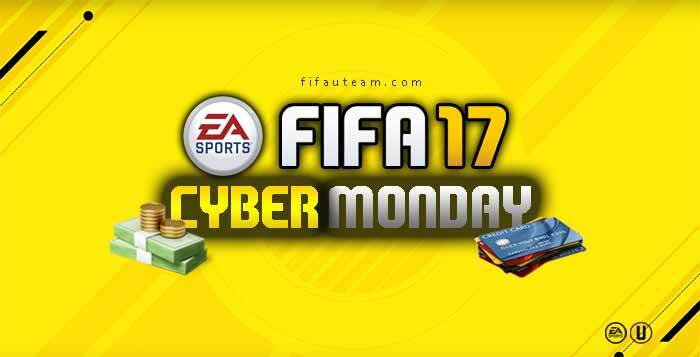 In this page, you will find a complete list of all FIFA 19 Cyber Monday offers shared with the FIFA fans, including new promo packs / lightning rounds every hour and flash squad building challenges. What is the FIFA 19 Cyber Monday Promotion? 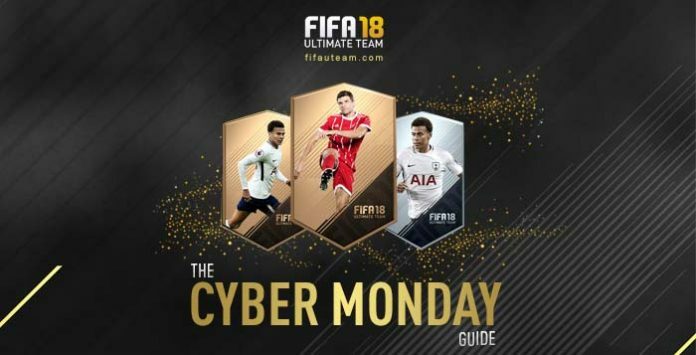 During the FIFA 19 Cyber Monday event, Electronic Arts releases a new promo pack every hour and multiple flash squad building challenges. 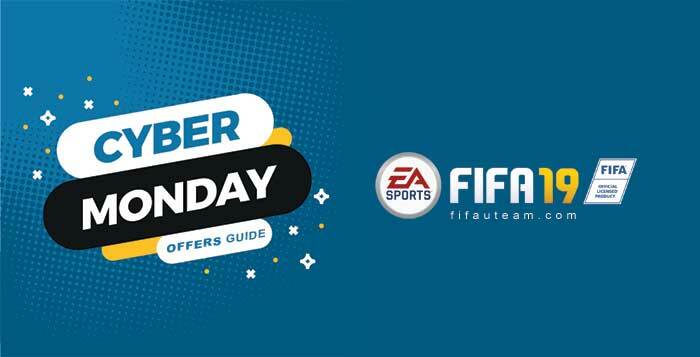 Details on FIFA 19 Cyber Monday offers will be updated below. 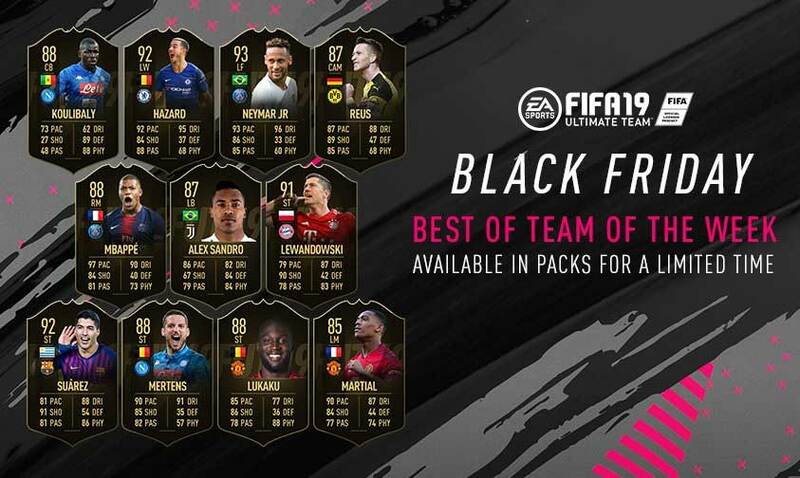 Every single FIFA 19 event has its own squad building challenges and Cyber Monday is no exception. To celebrate this time of the year, play the special flash SBCs with the chance to earn unique rewards. Hurry though, this kind of SBC is only available for a very short time, usually from 1 to 3 hours. As usual, Upgarde SBCs are also available during the Cyber Monday event. The SBC rewards included a Mega Pack, an exclusive kit and a rare gold pack.